The most sought after unit in Northshore. A type 3 beachfront corner unit with large balcony facing Walking Street in foreign name and under 20 million. Actually the asking price is 18 million baht. Details: 2 bedrooms, 2 bathrooms, Fully equipped kitchen, 5 star building and facilities. House for Sale & Rent -Soi Khao Noi -4 bedrooms -4 bathrooms -4 air conditioners -100 tw,=400 sqm. -Fully furnished Rental 20,000 baht/month Selling 4,300,000 baht. House for Sale -Soi Khao Noi -2 bedrooms -3 bathrooms -60 tw, =240 sqm. -Fully furnished Sale 2,800,000 baht. House for Sale -Soi Khao Talo -3 bedrooms -2 bath -44 tw,176 sqm. -Fully furnished Sale 1,500,000 baht. House Urgent Sale Ake Mongkol 4 -Soi Khao Talo -3 bedrooms -2 bathrooms -76 tw,=304 -NO furniture Sale 2,800,000 baht. Sale Town-House 37 Tw, Located in Soi Khao Talo 1,700,000 baht. A type 6 unit in foreign name on high floor for sale. This is a spacious 1 bedroom unit with fantastic beach and city views and featuring a comfortable floor layout plan. Contact us to book a viewing. Resale unit T.W. Klang, the highrise condo behind Carrefour, 2 bedroom corner unit on the 16th floor. 114 sqm with wonderful sea and city views. For 7 million baht you can own this home in your own name. Fully furnished with luxury kitchen and bathroom and ready to move in. Lease to buy! Financing by owner up to 10 years for Northshore 5 star beachfront corner condominium facing the ocean and Walking Street for sale. Fully furnished 2 bedrooms, 2 bathrooms large balcomy 117 sqm type 3 facing southwest on high floor looking over Pattaya City, the beach and sea view. 16 million Baht. Pay 6 million first and the rest over up to 10 years in GBP, EUR, USD or THB, e.g. 119,226 per month for 10 years. Current rental income is 75,000 per month. Fixed rate 6.5% or floating rate (SCB MLR, now at 5.85%) available. Urgent Sale Chateau Dale Complex 8th floor, 72 sqm., 1 bed,1 bath, living room, Looking over sea-view from balcony. Urgent sale : 3,000,000 baht. HOT SALE 3 Million Baht Resale The Urban Condo Pattaya One bedroom unit on high floor At building A, 52 sqm. New luxury building finished end of 2009, less than 5 minutes walk to the beach and Walking Street. The best square meter price in Northshore! Ready to move in today! Enjoy this 80 sqm 1 bedroom unit with bathroom, living room, balcony and modern kitchen for only 5.7 Million baht. That's just 71,250 baht/sqm to live in the only 5 star condominium at Pattaya Beach Road. Many other units in this building are listed at over 100,000 per sqm. Contact us today to view! Yearly maintenance and management fee for this unit is 38,400 baht. This is STAR BEACH CONDO On Pratamnak Hill, 2 balconies Panoramic Sea-View, 67 sqm. Fully new furnished, Asking price 3.6 mill/baht. City Center House for sale with 3 bedrooms and 2 bathrooms for 2,700,000 baht only. This house is located in the south of Pattaya, fully furnished and in Pattaya town proper with easy access to Supermarkets, Restaurants and Entertainment areas. Comes fully furnished and air-conditioned, ready to move in. 3 bedroom Thai-Bali house with private swimming pool in town ON SALE for 5,500,000 baht. A perfectly located development in South Pattaya City. Markland Condominium on Pattaya Beach Road available for sale now, corner unit 25th floor, 2 bedroom unit sized 156 sqm with sea-view balcony, fully furnished. View Talay condominium project 2, 82 sqm 1 bedroom condo with sea-view balcony on the 12th floor ready to move in. This condo offers a convenient lifestyle with many ameneties and fascilities in the condo. For sale in foreign name at 3 Million bath only. Northshore condo on 12th floor, at Pattaya Beach Road soi 5. for more Northshore units for sale. Conner unit at View Talay 3A. 89 sqm. Owned in foreign name. For sale at 3.8 million baht. Comes fully furnished with a large seaview balcony overlooking the swimming pool. Located in the prestigious Pratamnak Hill area. This project is right on the beautiful Dongtan beach. Pool house with walking distance to Jomtien Beach on a large 400 sqm piece of land for sale in company name. Completely renovated featuring 3 bedrooms, 3 bathrooms. Comes with large private swimming pool and is completely furnished. Amazing price to stay just 150 meters aways from Jomtien beach. Company included with purchase. Luxury 2 storey house for sale at Golf Course (20 meters away), with 3 bedrooms, 3 bathrooms, 76 Tw.= 304 Sqm land plot. Fully furnished and high quality construction. Asking price 7 Million baht. Jomtien Beach Paradise condo on very high floor with fantastic seaview fully furnished incl. kitchenette for sale. Can be owned 100% by foreigner. Price only 1.9 Million baht. Short walking distance to Jomtien Beach. Jomtien Beach Paradise condo for sale under foreign quota. 40 sqm studio with kitchenette and balcony with seaview. Ready to move in and you will be staying at Jomtien Beach Road in a nice and quiet area with the actual building situated just 2 minute's walk from the beach. A low floor Jomtien Beach Paradise unit under foreign name. Comes fully furnished including kitchenette. Offering price 1.9 Million baht. Well decorated Jomtien Beach Paradise condo for 1.9 Mill. This unit is owned under foreign ownership quota (quota is full already in this building). The project is already built and located at Jomtien beach in a nice and quiet area. Sea-view balcony and view over the swimming pool and you are just a quick walk from Jomtien Beach. Jomtien Beach Paradise condo for 1.9 Mill. This unit is owned under foreign ownership quota (quota is full already in this building). The project is located at Jomtien beach in a nice and quiet area. Sea-view balcony and view over the swimming pool and you are just a quick walk from Jomtien Beach. 54 sqm Jomtien Condotel condo available for sale under foreign ownership. This project is located at the end of Jomtien beach in a nice and quiet area with a large swimming pool next to the beach. View Talay condo 6 studio on very high floor available for sale. 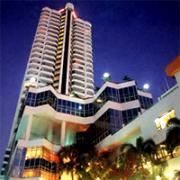 This highrise is located on Pattaya Beach Road next to the beach and the new 7 storey Central Festival shopping mall. sea-view balcony. Nice private pool house fully furnished with 4 bedrooms, european kitchen and maid room for sale and for short or long term rent starting from 45,000 per month. View Talay Condo 6 is the best location on Pattaya beach Road next to the beach and the new 7 storey Central shopping mall and many other attractions. 48 sqm on the 26th floor with sea-view from balcony. well decorated deluxe studio room, fully furnished, built-in kitchen. Ready to move in. View Talay condo project 6 is the best location on Pattaya beach Road next to the beach and the new 7 storey Central shopping mall 48 sqm on a high floor with sea-view from balcony. deluxe studio room, fully furnished, built-in kitchen. Ready to move in. 3 bedroom house with large tropical garden on a large 163 Sqw (652 sqm) plot of land, located on Soi Chaiyapornvitee 10 minutes from Pattaya city. 2.8 Million baht. This 2 storey townhouse comes fully furnished and is situated on 16 Tw (64 sqm) in good condition and nicely decorated. Asking price 1,500,000 baht. Jomtien Beach Condo for sale 64 sqm., 1 bedroom, 1 living room, 2 bathrooms. Fully furnished, sea-view balconies. Only a minute's walk to jomtien beach. 3 million baht offering price. Urgent sale View Talay Jomtien 1, sea-view condo 64 sqm on high floor.1 bedroom, 1 living room, 2 bathrooms, for sale at 2 million baht! Luxury house for sale in the best location featuring 3 bedrooms, 3 bathrooms, and comes with private swimming pool. Asking price 11.5 Mill. Owned in Thai company name, which comes with the purchase. Urgent sale House on 130 Tw = 520 sqm land with private swimming pool, big landscaped garden. 3 large bedrooms, 2 bathrooms, 4 Million baht asking price. Below market price house for sale in Pattaya. Very large 1040 sqm plot of land + Private swiming pool for only 4,725,000 Mill. Discount! 3 bedroom house for 2.8 million for sale in SP Village 4. This house comes with a large plot of land measuring 500 sqm. Fully furnished with built-in kitchen. Great community swimming pool and fitness center. Price lowered from 3.2 million. 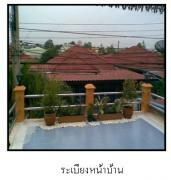 House for sale in East Pattaya,2 bed, 2 bath, Fully furnished, built-in kitchen, all green garden big fence surrounded. 2 bedroom 2 bathroom condo unit in foreign name in Jomtien Beach Condominium S building (the building closest to the beach) for sale on high floor for 4.4 million. 55 sqm 1 bedroom unit with 1 bathroom and large living room. 2 balconies with beautiful sea-view. Fully furnished in modern style + teakwood design. Jomtien Beach Condominium S building (the building closest to the beach) Available for sale in foreign name on high floor. 55 sqm 1 bedroom unit with 1 bathroom and big living room. 2 balconies with great sea-view. Fully furnished with comfortable sofa, built-in kitchen and large sized bathroom. Cheap condominium for sale sits right on Jomtien Beach Road. 700,000 baht only, 32 sqm with balcony. 2 large communal swimming pool + Fitness center. Available for Foreign ownership. House for sale in central Pattaya city. Built on 240 sqm land with 3 bedrooms, 2 bathrooms, Big living space, 2.7 Million only. A double shophouse an up and running French 13 rooms guesthouse, restaurant, and bar. Owned freehold under Thai company, so the actual buildings are included in the sale, it's not a lease. For sale at 9,000,000 baht only! Bargain! Quick sale of unique business opportunity on Jomtien Beach Road. A double shophouse with an up and running French 13 room guesthouse, restaurant, bar + extra roof apartment. Owned freehold in a Thai company, so the actual buildings are included in the sale, it's not a lease. For sale at only 9,000,000 baht ! Do you want to run your own guesthouse? For 5 million you can become the proud owner of a successful guest house at Jomtien Beach. Want a house with private swimming pool close to the beach but can't get financing from the bank? Here's the solution! Brand new House with financing available for both foreigners and Thais. For sale at a very fair price and perfect location not far from Jomtien Beach. Financing available for foreigners. Brand new House for sale & private swimming pool at a good price & perfact location with 15 minutes walk to Jomtien Beach. Just pay down 500,000 baht and move in. Bargain! Urgent sale 3.5 Million baht. 440 sqm. with large private swimming pool + jacuzzi included, good location for family living in the East of Pattaya but not far from Sukhumvit Rd. SOLD! Amazing price for this location! This house for sale is located on Thappraya Road opposite Pattaya Park and just 5 minutes from Jomtien Beach. Inexpensive new house for sale in Pattaya town proper on the Naklua side. Medium term private financing available. Contact us for details! Inexpensive new house for sale in Pattaya town proper on the Naklua side. Private financing available! Large 2 storey 4 bedroom House with private financing for sale in villa resort in Central Pattaya. Already built 4 bedroom 2 storey house for sale with finance! The only tropical villa resort in Central Pattaya, why not come home to your very own luxurious tropical resort. Flexible private financing options available. Contact us for details! Brand new 3 bedroom house in the southwest of Pattaya City town proper for sale with flexible financing option that allows you to move in quickly and pay monthly for serveral years. SOLD! Need financing to buy a house? This newly built house for sale is located on the Pattaya city side close to Supermarkets, Restaurants, Entertainment areas, tourist attractions and commercial center. Large enough garden space to build a good sized private swimming pool. You can pay down a very reasonable amount of money, move in and pay the rest monthly over several years. Brand new house for sale in Pattaya city under 3 million with private financing! New house with generous financing option for sale on Pattaya city side close to tourist and commercial centres with easy access to Supermarkets, Restaurants and Entertainment areas and tourist attractions. Available for Sale now on Pratamnak Hill. Newly refurbished studio for 800,000 with up to 50% private loan from owner. House- Urgent sale In soi Nern Plub wahn. Located on the East side of Pataya, Nice and quiet area suitable for family living. New House for sale with 3 bedrooms, 4 bathrooms, private swiming pool and garage for 2. Located in Southwest Pattaya close to shopping and commercial centres with easy access to Supermarkets, Restaurants, Entertainment and tourist area attractions. 5 minutes to the beach. . Situated on a 408 sqm land plot. Price 5,890,000 baht. View Talay 5 D unit located on the 18th floor of the building under foreign ownership and with unobstructed seaview. Take a virtual walk-through in this 360 degree presentation of all rooms on: http://www.chosenmarketing.com/viewtalay This project sits right on the beautiful Dongtan beach in the beginning of Jomtien close to the nightlife, entertainment and restaurant area. View Talay 5 building D on the 21st "top floor" for sale. This project sits right on the beautiful Dongtan beach in the beginning of Jomtien close to the nightlige entertainment and restaurant area. Pattaya-House for SALE with large 800 sqm (up to 1,600 sqm) private garden and big private pool surrounded by high walls. This luxury house features a fabulous 388 sqm (up to 800 sqm) sun deck/barbeque rooftop perfect for party gatherings. Extremely flexible payment options, including 40% deferred payments on Phase II over six years at 6.5% Freehold and leasehold options available. Professional rental program 8% rental income projected. The Vineyard is situated in the tranquil and unspoilt area of Lake Mapbrachan - the perfect location for a relaxing and stress free life. Great location also for those working in the industrial estates to avoid Pattaya's traffic. This estate is very close to one of Thailand's top golf courses, Siam Country Club, which hosts the annual LPGA tournament featuring the best women players in the world and the newly built course "The Plantation" which many say is the best course in the entire region. New NOVA Atrium Condominium ready to move in. Perfect for the pet lover! Also included in the price is a washing machine, . Internet access is included in the building maintenance fee, which is 27,000 baht per year. This is one of the few new condominium buildings where pets are allowed! New-House for sale in Pattaya city side close by allbusiness centres easy access to Supermarkets, Restaurants and Entertainment areastourist attractions. .
Thai Bali House for SALE or RENT. This house is comes with private swimming pool and a tropical garden surrounded by a high perimeter wall for your privacy. Condo FOR SALE. This unit is 101 sqm. Fully furnished and nicely decorated. Located on Thappraya Rd, the road linking Pattaya and Jomtien. This unit is now available for sale Fully furnished and nicely decorated ready to move in. This project sits right on the beautiful Dongtan beach in the beginning of Jomtien close to the nightlige entertainment and restaurant area. Thai Bali House fulfills the needs of you and your family with a perfectly located development on South Pattaya City. House is close by allbusiness centres easy access to Supermarkets, Restaurants and Entertainment areastourist attractions. Stunning riverside residence with private mooring for your yacht or boat. This home is situated on a large plot lof land with private swimming pool and a 2 storey house set in a tropical garden, with a generous terrace and pavilion on the river. 2 bedroom family lifestyle condo at a clean beach with proximity to Pattaya. Scandinavian project and management. Enjoy playing golf, watersports and fresh seafood at this paradise condo resort. 360 degrees views from large penthouse in prestigious Pratumnak Hill. All bedrooms ensuite with balcony. Enjoy the sunset over Coral island from your outdoor jacuzzi or the vast sea views and wonderful view of Cozy Beach. Maybe a glass of wine while taking in the beautiful lush Royal Hill Pratamnak or Jomtien complemented by its variety of deli restaurants and recreation facilities. This is the perfect setting for relaxation with nearby beaches. FEATURED PROJECT 6 star luxury living at Waterfront, an ultra modern marina front condominium at the best location close to Walking Street starting at 5,130,000. Click for more details and pictures! Urgent sale! Normally a house this size is priced 5 million baht or more. Now for urgent sale lowered to 3,9 million. Please be quick to book a viewing! This two storey house is located in East Pattaya with two way access from Soi Khao noi and Soi Khao Talo. Situated in a quiet village with a nice living environment. Luxury Beach Living Has Never Been So Affordable. Houses built to English standards located at Royal Hill Pratamanak with direct access to a private beach in a secluded and secure private village with each house featuring high walls. Apart from the stunning beach there is also a well equipped club house with bar, restaurant, swimming pool and pool sports table. New two storey attached house for sale (with private loan financing available) or for rent - also short term rent! New and clean 2 bedrooms 2 bathrooms house with garden. Royal Pratamnak Hill "Peak condo" big studio unit in foreign name with sea view balcony condo not far from the beach, yet in a quiet area. Private financing up to 50% of the price for up to 6 years available at 7.5% interest rate. Large Royal Hill condominium with 2 bedrooms en-suite each with their own sea view balcony. 146 sqm sea view condo not far from the beach, yet in a quiet location. Magnificient art and Persian rugs decorate this home with tiled flooring. Fully furnished with TV set, beauty table, bedset tables and wardrobe. Both bathroom have a bathtub with hotwater shower and one of the bathrooms features a hot water shower cabin. Private financing by owner available for Thais and foreigners! Contact us for details! For the boat lover this home is located in Jomtien Yacht Club in Na Jomtien. Private morring for your private yacht/boat in front of the house. This is a detached house situated on 320 sqm land. and sits along the canal that leads to the sea. Private berth available in Jomtien Yacht Club Marina. Jomtien Beach condominium S2 for sale, 59 sqm 1 bedroom unit on high floor with unblocked sea-view to the Pattaya side. Fully furnished and for sale below market price. Northpoint Condominium Unit 4901 South Tower unit with unobstructed view of Pattaya Bay and the beach located on Wongamart Beach, 5 star apartment building Nortpoint developed by Raimon Land and it is in Foreign Ownership. NORTHSHORE FOR SALE facing Walking Street and with beautiful beach view from the high floor. 1.5 bedrooms 2 bathrooms. Located on Pattaya Beach Road soi 5. 5 star apartment building Northshore developed by Raimon Land. House for sale in Soi Nern Plub Wahn, Central East Pattaya, 60 tarang wah land (240 sqm) for 2,690,000 baht only! SOLD! 3 bedroom Pen Pak Bali style house with private swimming pool is available for sale and for rent (minimum 1 year term), Located in South Pattaya. Fully furnished with decoration in Thai Bali style. Comes with built-in kitchen, built-in wardrobe, and a large living room. 3 bedroom Pen Pak Bali style house with private swimming pool is available for sale and for rent (minimum 1 year term), Located on South of Pattaya.Fully furnished with decoration in Thai Bali style. Comes with built-in kitchen, built-in wardrobe, and a large living room. Fully furnished two storey house with private swimming pool for sale or for rent (minimum 1 year). Located in South Pattaya with easy access to everything in the city. Featuring 3 bedrooms with built-in wardrobe, 3 bathrooms, built-in kitchen and a large living room. This house is furnished in strong and beautiful teak wood. Available for sale. With this home comes your own private swimming pool and a very well maintained landscaped garden with plenty of tropical plants and trees surrounded by a high perimeter wall for your privacy. Incredible! A 3 bedroom house 50 meters from the beach for under 5 million baht! Better yet, the house is located at a clean stretch of Jomtien where the beach is much better and you can truly enjoy the beautiful sunsets over the horizon from the beach. This month's best bargain! Are you dreaming about living in a huge tropical garden at the beach and own it in your own name? This absolute beachfront condo development is situated on a 50 rai (8 hectares or 20 acres) landscaped tropical park. There's now a 3 bedroom 3 bathroom corner unit with large balcony for sale at only 7 million baht! The unit is sized 248 square meters, which is only 28,225 per sqm. If you invest 1 million more you can get it decorated to top modern standard. A large freeform swimming pool, jacuzzi, tennis courts, children's pool and salas are parts of the tropical park features that this 24 hour security resort is offering. And it can be owned in foreign name! House for sale Luxury 3 bedroom house with private pool fully furnished and equipped with high standard facilities such as computer with internet and home theater. The unique design features 2 Thai style teak woods and modern + thai-bali style large living area. Moreover, there's a large European kitchen with Thai design as well as luxury bathrooms. Are you dreaming of living in a big house at a clean and long stretched beach? Now your dream can come true for just 7.4 million baht! This new secure village with more than 60 houses and a club house is located at Bang Saray beach, just a 10 minutes south of Pattaya and a few minutes drive to a world class golf court. This is Beach Livin' at it's finest. Bargain! 48 sqm bareshell condo under market value in new View Talay 5 Building C at Dongtan Beach, Jomtien. For sale at 2.2 million baht. House for sale and for rent with private swimming pool in West Pattaya. Located in soi 17 [soi Land department] providing complete privacy and high perimeter security wall. Get 20% discount until 1 December 2008 through Livin' Beach agreement with the developer on any of the last remaining beachside units. Less than 40,000 baht per sqm including modern Electrolux kitchen! A new Scandinavian low rise condominium quality project in contemporary Thai-Scandinavian design very close to a secluded beach in the up and coming area Bang Saray. Ready to move in December 2008. 2 bedroom 82 sqm units from 3,272,000 (previously 4,090,000). Corner units and units with extra big balcony are also still available. Cable TV and Wi-fi broadband internet connection in all units. Rental program available for the investor. Foreign quota is already filled but foreigners can buy leasehold or freehold through Thai company. Rental programme available. Financing by owner available for foreigners and Thais! A great and modern 60 sqm 1 bedroom unit in one of the most popular buildings at Jomtien beach and not far from Jomtien town. This fully furnished and well decorated 60 square meter unit has got a full European kitchen with modern furniture. The secured complex offers a large swimming pool, sports facilities, and a variety of shops, restaurants, services and amenities. For sale at 2.7 million in foreign ownership or for rent from 22,000 (min. 6 months). Also available for short term rent min. 1 month. Now we can offer you a newly refurbished 2 bedroom ensuite 114 sqm seaview condo not far from the beach, yet in a quiet location, from 35,000 per month (min. 6 months). Perfect for the family! Also available for short term rent min. 1 month. Comes with Internet and cable TV access. For sale in foreign ownership at only 4.4 million (38,600 baht per sqm). Financing by owner available for foreigners and Thais! Now this is art living at good value! Fully decorated studio unit in a complex at Jomtien beach not far from Jomtien town. This home, really decorated with art in mind, is situated in the Jomtien Beach Condo at the building closest to the XXL swimming pool. The complex also offers sports facilities, such as badminton, and a variety of shops, restaurants, bars, services, and amenities. For sale at 1,070,000 baht in foreign ownership or for rent from 11,000 (min. 6 months). Also available for short term rent min. 1 month. Fully furnished studio unit in a complex at Jomtien beach not far from Jomtien town. This decorated unit is situated on a low floor in Jomtien Beach Condo in the building closest to the XXL swimming pool. The complex also offers sports facilities, and a variety of shops, restaurants and amenities. For sale at 1.17 million in foreign name or for rent from 11,000 (min. 6 months). Also available for short term rent min. 1 month. Owner financing available! Fully furnished studio unit in a complex at Jomtien beach not far from Jomtien town. This decorated unit is situated on a high floor in Jomtien Beach Condo, a complex known for its swimming pool, sports facilities, and variety of shops, restaurants and amenities. For sale at 1.1 million in foreign name or for rent from 10,000 (min. 6 months). Also available for short term rent min. 1 month. The Lofts Southshore, the latest project in Pattaya from renowned devloper Raimon Land, is now available off-plan for floor 1-26 in Tower 1 starting at 3.2 million and can be owned in your own name. These two 5 star skyscrapes will have about 850 units between 30 and 300 sqm and will be located behind Walking Street on Pratumnak Hill. The best units are selling fast but there are still very nice studios and 1 bedroom units at high floors with the best views available. Contact us for up-to-date details and for booking viewing of show room and actual site. Newly refurbished and nicely decorated 42 sqm large beach condo with seaview balcony in foreign ownership for sale at 1.7 million or for rent from 14,000 per month. How about wide open seaviews from a duplex (double storey) condo at the beach? Now available for only 7.9 million at a high floor and in foreign ownership too! Condos like this don't come up on the market often so do not delay viewing this wonderful home! Can also be rented from 60,000 per month (minimum 6 months) or short term (minimum 1 month) at various rates. Fully furnished and bright colored 1 bedroom Jomtien condo with wood flooring in foreign owmership for sale at 2.45 million incl. furniture and fittings or for rent from 23,000 per month (short term rentals also available). Fully furnished and tastefully decorated modern 1 bedroom Jomtien condo in foreign owmership for sale at 2.43 million incl. furniture and fittings or for rent from 21,000 per month (short term rentals also available). Nicely decorated seaview condo in foreign ownership in North Jomtien with balcony now available for rent from 12,000 per month (short term rental terms from one month possible) or for sale in foreign name for 1.3 million. Seaview studio unit with everything you need. This newly refurbished and decorated unit is situated on a high floor in View Talay 1A, which is located in Jomtien at the town center and main road. For sale at 1.5 million in foreign name or for rent from 13,000. Also available for short term rent minimum 1 month. Detached 3 bedroom bungalow (single storey house) on a large land plot (131 tw) for sale in Jomtien area on the coast side of Sukhumvit with communal swimming pool. Very good value for money at 4.5 million baht. Stylish 1 bedroom flat in 5 star condominium Northshore for rent at 45,000 per month or sale at 6.6 million only! Ready to move in! Don't miss this chance! This is your chance to get a house not far from a beautiful and clean beach for just 1.5 million baht! This is far below market price! Contact us NOW for viewing! House for sale below market price in Baan Ampher close to the beautiful and clean Bang Sarey beach just a bit south of Pattaya. Buy a new condo off plan fully built-in furnished and made ready to move in or ready to rent our, located just 800 meters from Jomtien beach with free shuttle transport to the beach! You can buy in Thai name from 1,000,000 baht or from 1,699,000 baht with pool view in Foreign name. First 2 phases sold out foreign name quota very quickly. Book a viewing with us now! The beach at your footstep! High floor Deluxe type condo in foreign name in the popular La Royale with seaview facing Pattaya for sale at 9.9 million baht. Beautiful new 3 bedroom house with common swimming pool only 2.5 km from the beach for 3.4 million. Sea view Condo for sale for 1.2 Million only at jomtien beach Pattaya. Seaview project under construction at the exclusive Pratumnak Hill. Units in foreign name ownership start at 2.34 million with discounts for ownership in Thai name. Project under construction. Fully furnished studios by trusted developer 1.39 million in Foreign name with easy payment plans, spread over the course of the construction. Huge discounts for Thai name ownership starting at 1 million only! SOLD! Not for rent anymore. Fully furnished European standard single house for 2.5 million! New studios with all facilities from 1.5 million developed by well established hotel group. Own a 1 bedroom duplex condo a few minutes from the beach for 2.0 million under Thai name! Very good investment with excellent rental returns! Also available resale in foreign name for 2.9 million. Own a duplex condo a few minutes from the beach for 1 million! Very good investment with excellent rental returns! Selling out fast! Book a viewing now! Now available! Executive Serviced Apartment style luxury townhouse for rent or sale located at the prestigious Wong Amart. For rent at 65,000 baht per month or for sale at 11.5 million. This is a Thai Bali style house with teak roof and high quality standard, modern and contemporary. Beautiful 2 storey detached house in east Pattaya. Live just 1.5 km from the beach in this lovely new house at Central Park 4 for sale at only 7 million baht. Big house for great family living! Brand new house for sale Fully furnished with nice decoration. Owner must sell quickly! Price is lowered 400,000 baht to less than 35,000 per sqm. Jomtien Beach Paradise is available for sale! Good price and great location at a nice part of Jomtien beach, the South of Pattaya. Northshore condo, the only 5 star apartment at Pattaya Bay Beach. Unit 1009 with Pattaya city + sea view, owned in FOREIGN name. 31 Million for a luxurious 268 sqm 3 bedroom ensuite beachfront condo in the most prestigious address at Pattaya Beach. Beach front corner unit owned in FOREIGN name. Northshore 40 meter from Pattaya Bay Beach. VIEWTALAY 6 Resale 15th floor South View towards Walking Street. This project is only 40 m. from Pattaya beach in the central of Pattaya City. Best 1 bedroom layout unit in Northshore unit 1208 for sale fully furnished. Available for viewing. Condo VIP for sale 40sqm. Finally for sale again. Luxury furnished 268 sqm 3 bedroom unit in 5 star Northshore at Pattaya Beach Road for 30 million. High rental income opportunities for the investor! House for sale for 2.7 million in central Pattaya City. House with private pool, For sale in South Pattaya. Newly built 3 bedroom bungalow for 3.5 million in popular village close to Sukhumvit. Looking for condo below 50,000 baht per sqm? Beautifully furnished big condo at downtown Jomtien available in the popular View Talay 2A building. Garden land and house allows you to create and design your home own home by your own idea from our standard houes's plan without limitation of idea.